As the second anniversary of Superstorm Sandy recently passed, so did a major milestone in our ministry with the people of the Center for Community Renewal in Keansburg: We’ve served 5,000 meals in their soup kitchen. In the days right after Sandy, as many of our homes were just beginning to warm up again, we saw a plea on the Diocese of New Jersey’s Facebook page looking for help in the Soup Kitchen in Keansburg. Keansburg was devastated by Superstorm Sandy, and there were many, many people looking for food and shelter. St. Mark’s sent a team down to Keansburg one day, driving the nearly hour commute to Keansburg, not knowing exactly where we were going, or what was in store for us. What was in store for us? An incredible new relationship and partner in ministry. We went there to serve one meal, and we’ve been back twice a month, serving meals and making few friends, ever since. The ministry in Keansburg isn’t slowing down either. They are up to serving 6,000 meals a month to people who are hungry and searching for a meal, support, and community. They were recently featured in an article in USA Today. 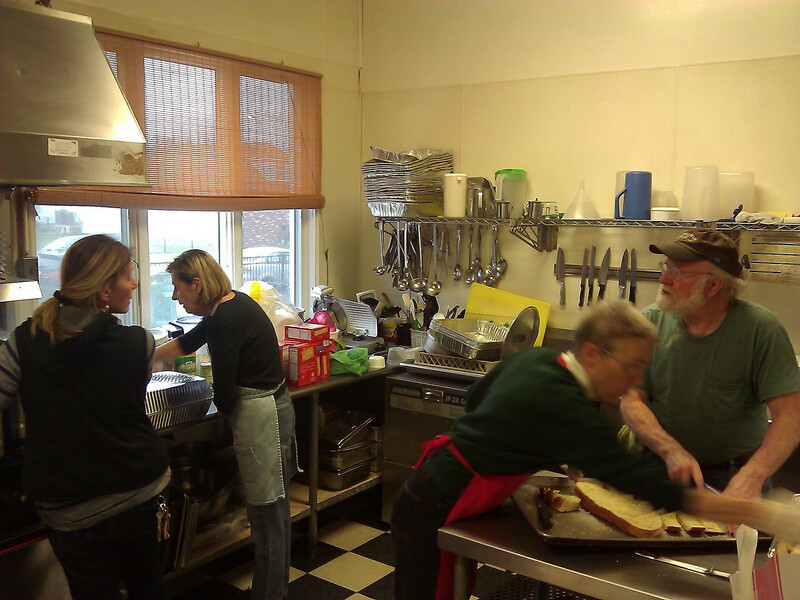 St. Mark’s in Basking Ridge serves meals the 1st and 3rd Wednesdays of every month. If you’d like to contribute to this ministry, help provide some of the food, and/ or help cook and serve the meal in Keansburg, please let us know. The need is great, and being a part of this wonderful, creative ministry helps feed us all in more ways than one. How can you help? Click here for more information. Gracious God, whose heart is always for the poor and the hungry, lift up the people of Keansburg, and all hungry people, especially those still suffering from Superstorm Sandy; give them your presence, your blessing, and send us, your children, to help our brothers and sisters, that all might be nourished. Through Jesus Christ, our Lord. Amen.